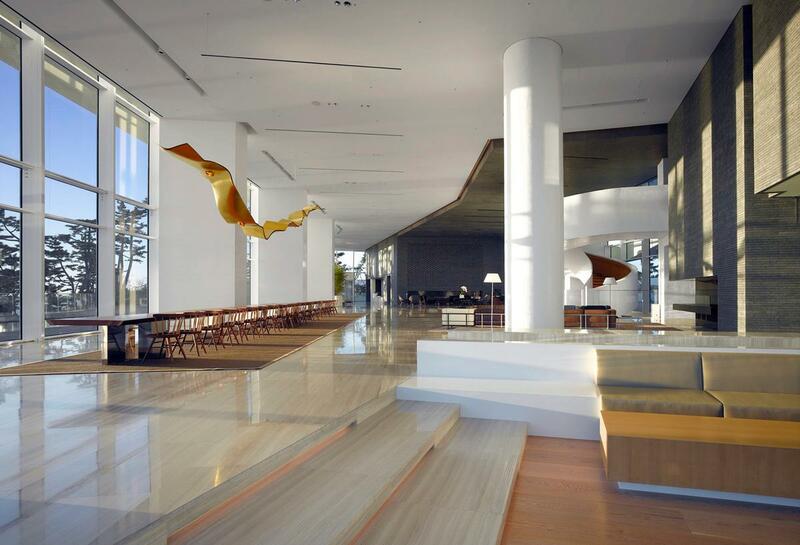 Hotel South Korea Richard Meier designs ' beautiful, humane ' for Winter Olympics Archi-new - Free Dwg file Blocks Cad autocad architecture. Archi-new 3D Dwg - Free Dwg file Blocks Cad autocad architecture. 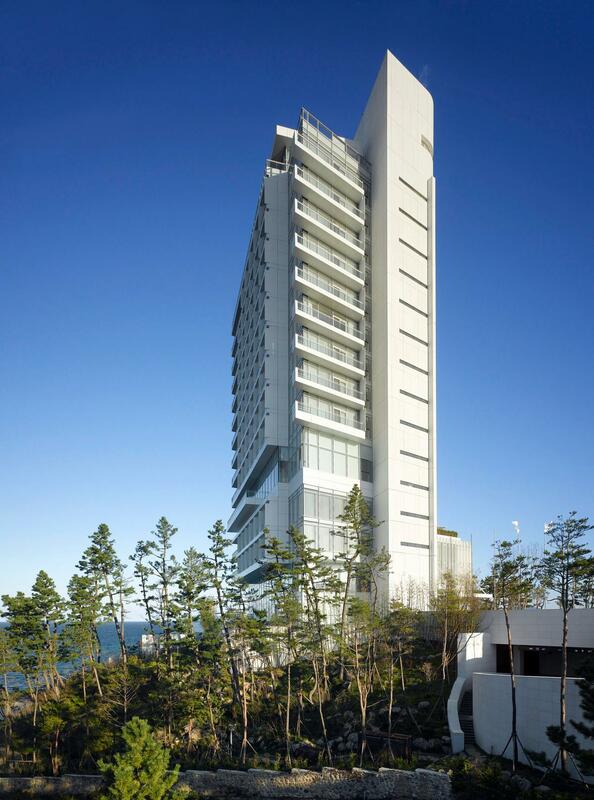 Richard Meier & Partners have completed their first major hotel project – the new Seamarq Hotel in South Korea. 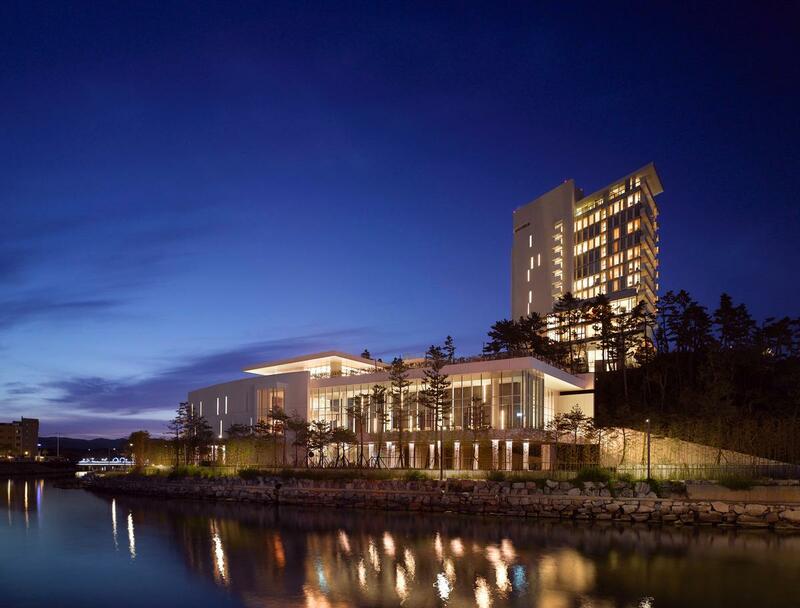 Located in the city of Gangneun, where it faces the country’s East Sea, the hotel has been rebuilt as part of a regional regeneration scheme in preparation for the 2018 Winter Olympics in nearby PyeongChang. The 52,830sq m (568,700sq ft) area contains two main structures – a hotel tower and a banquet hall – situated at different levels on a small hill of dense pine trees and connected by a four-storey base building. 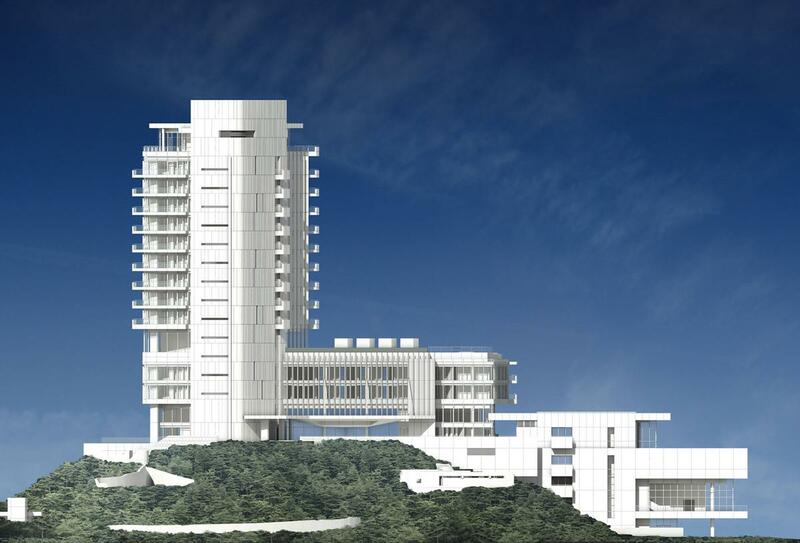 The form of the 11-storey trapezium-shaped tower contrasts with the soft shape and contours of the hill. 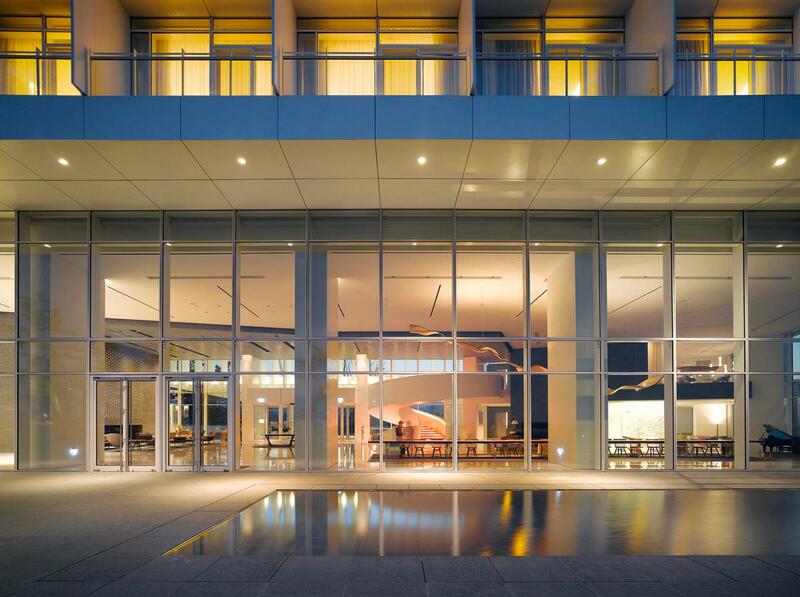 It contains 150 guestrooms, a private sky garden, a restaurant, a wellness spa, a gym and indoor and outdoor swimming pools – including an ocean-facing infinity pool on an outdoor deck. The banquet hall features an amphitheatre, exhibition hall and further dining facilities. A sequence of outdoor spaces surrounds the structures, featuring landscape design concepts – developed in collaboration with New York High Line designers James Corner Field Operations – which offer various views of the hotel’s floating balconies, overhanging canopies and reflective white metal and aluminium facade. 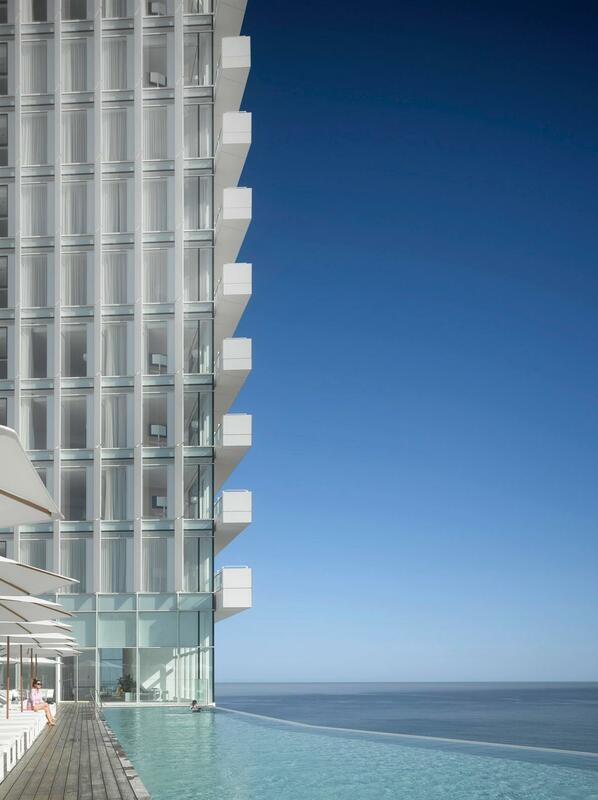 “Our primary goal for the Seamarq Hotel has been to create a strong sense of place by enhancing and transforming the existing site in a dramatic way,” said Pritzker Prize-winning studio principal Richard Meier. “Many of the cues for the design came from the site – its light, its landscape, its topography. “Perhaps the most important initial decision was to work with the configuration of the land and to design the hotel complex in relation to the existing topography. 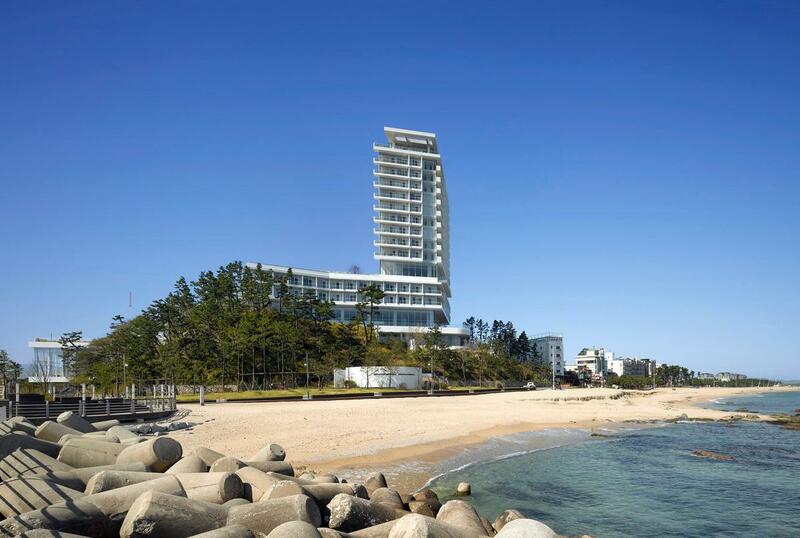 The Seamarq Hotel was formerly known as Hotel Gyeongpodae, which originally opened in 1971 and closed in 2013 for work on the re-design to begin. The property is owned by South Korean corporation Hyundai Heavy Industries. Local practices Hyundai Architects & Engineers Associates and Doojin Hwang Architects collaborated on the project.